Electric vehicles were one of the talking points, with California’s status as the biggest market for electric vehicles in the US and the largest market for high-end luxury and performance cars. Cars on display include two small EVs from General Motors, Fiat and BMW, alongside world debuts for performance vehicles such as the Porsche Cayman, Mercedes-Benz AMG SLS Black Edition and Jaguar XFR-S.
Fiat showed an electric version of its 500 bambino. Projected to cost around $45,000, the 500e will be powered by a 75 kW electric motor matched to a lithium-ion battery pack. Chevrolet had the Spark EV – which shares 75 percent of its electric components with the plug-in Chevrolet Volt. BMW was pushing its “i” brand of EVs with an i3 hatchback and the i8 coupe and spyder. 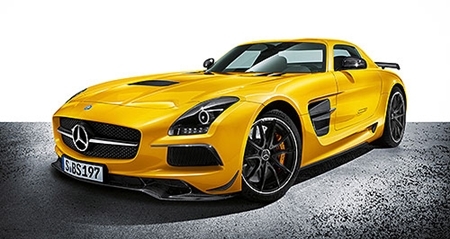 The AMG SLS “Black Edition” has a bigger 464 kW/635 Nm V8 engine than the normal SLS. Jaguar displayed its fastest sedan – the XFR-S with 404 kW/680 Nm supercharged V8-power. Claimed acceleration times are 0-100 km/h in 4.5 seconds. Other new vehicles included the Volkswagen Beetle convertible, the new US version of the new Hyundai Santa Fe, and the North American Kia Forte. LA also hosted the global premiere of the Mercedes-Benz Ener-G-Force and the US debut for the BMW i8 Spyder. Previous articleWhat is happening with the Bira Circuit?